Alfian Sa’at is a Resident Playwright with W!LD RICE. His published works include three collections of poetry, One Fierce Hour, A History of Amnesia and The Invisible Manuscript, a collection of short stories, Corridor, a collection of flash fiction, Malay Sketches, two collections of plays as well as the published play Cooling Off Day. Alfian has been nominated 10 times for Best Original Script at the Life! Theatre Awards, eventually winning in 2005 for Landmarks, in 2010 for Nadirah, in 2013 for Kakak Kau Punya Laki (Your Sister's Husband) and in 2016 for Hotel (with Marcia Vanderstraaten). In 2001, Alfian won the Golden Point Award for Poetry as well as the National Arts Council Young Artist Award for Literature. He has also been nominated for the Singapore Literature Prize three times, for Corridor (1999, Commendation Prize), A History of Amnesia (2004) and his translation of the novel The Widower (2016). Annette is a writer, actor, broadcaster and producer. 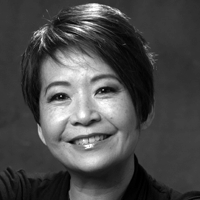 She is Executive Producer of Contemporary Asian Australian Performance (CAAP) the only professional company dedicated to work that gives voice to the contemporary Asian Australian experience. CAAP has also initiated programmes that provide professional skills development for artists of Asian background, such as the LOTUS Playwriting Project, in partnership with Playwriting Australia, which is nurturing a new generation of Asian Australian writing for the stage. Four LOTUS plays were produced this year. Annette has co-directed five theatrical storytelling shows for CAAP with photographer and master storyteller William Yang, most recently The Backstories for Adelaide Festival. They were also co-dramaturges on In Between Two which premiered at Sydney Festival 2016 and features at the upcoming OzAsia and Melbourne Festivals. 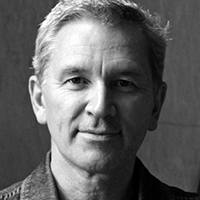 David Pledger is a contemporary artist and curator working within and between the performing, visual and media arts in Australia, Asia and Europe. His live performances, installations, interactive artworks, documentaries, digital art and discursive events have been presented in various locations including theatres, galleries, museums, a car-park, a stables, a cattleyard, a suburban house, a film studio and the Australian Institute of Sport. His work is notable for engaging publics in productive and provocative ways. From his initial practice, live performance, he has developed a cross-disciplinary dramaturgy in which a central platform is engaging with artists across artforms and experts from social, scientific and academic fields. Recently cited as ‘one of Australia’s true creative originals’ in a national survey of the performing arts, David is the recipient of numerous project and career awards, grants and commissions for his work as a director, designer, writer and actor in live performance and new media. 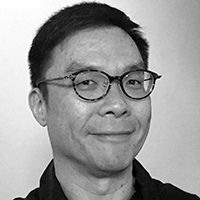 Distinguished by collaborations with media arts pioneer Jeffrey Shaw, visual artists William Kelly and Callum Morton, choreographer Shimizu Shinjin and theatre director, Kim Kwang Lim, his practice interests include the body, the digital realm and public space. 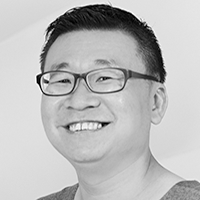 In 1995, he co-founded not yet it’s difficult (NYID), one of Australia’s leading interdisciplinary arts companies. In 2016, he launched a serial performance work David Pledger Is Running For Office in Canberra ten days ahead of the July Federal Election and was elected Federal Minister for Empathy. He also created Hotelling, a new 24-hour-plus ‘happening’ embedded in the iconic QT Hotel at Surfers’ Paradise. David’s curatorial practice focuses on developing the optimal conditions for artistic production in which exhibition and programming ambitions can be realised. He is currently engaged in various artistic adventures with social change agency, Igniting Change, the City of Gold Coast around his future-focussed art-thinktank 2970° and the Spatial Information Architecture Lab (SIAL) at the School of Architecture and Design, RMIT University, where he is on a research scholarship investigating the effect of ‘noise’ on our social, cultural and political systems. He is regularly published in online and print journals including The Conversation, Arts Hub, Artlink, Art Wires, Dancehouse Diary and Platform Papers on artistic practice, cultural policy, arts activism and international cultures. Edwin Kemp Attrill is a South Australian theatre maker. He is the founder and Artistic Director of ActNow Theatre and the former Artistic Director of the University of Adelaide Theatre Guild. Edwin’s work focuses on interactive theatre and participatory storytelling, exploring social justice themes. As a community arts practitioner, Edwin works with people with disabilities, prisoners, LGBTIQ communities, young people, refugees and migrants, with organisations including Urban Myth Theatre of Youth, No Strings Attached Theatre of Disability, Tutti Arts, Company @, Flinders University, Vitalstatistix, Feast Festival and NIDA Open. He holds a Diploma in Theatre Arts through Victoria University and a Graduate Certificate in Arts and Community Engagement through Victorian College for the Arts. Edwin was the recipient of the 2013 Channel 9 Young Achievers Award for Career Leadership and 2015 Geoff Crowhurst Memorial Award at the South Australian Ruby Awards. Kok Heng Leun is a Nominated Member of Parliament as well as the Artistic Director of Singaporean theatre company Drama Box, and a prominent figure in both the English- and Chinese-language theatres in Singapore. Thus far, he has directed over 60 plays, including Kuo Pao Kun's Spirit Play; the Forum Theatre work Trick or Threat! ; HERstory (2011, Singapore Arts Festival); and Drift (2008, Singapore Season). Rachael Swain is a director and dramaturg of intercultural dance theatre and a performance researcher. She is founding member and co-artistic director (together with Yawuru dancer and choreographer Dalisa Pigram) of Marrugeku. She specialises in creating platforms for emergent Indigenous and intercultural choreographies and dramaturgies and in facilitating intercultural and trans-indigenous practice led research projects to redefine contemporary arts practices. She has directed Marrugeku’s productions Mimi (1996), Crying Baby (2000), Burning Daylight (2006), Cut the Sky (2015) and co-directed Buru (2010) (with Pigram). She was dramaturg for Dalisa Pigram’s award winning solo Gudirr Gudirr (2013) and will be dramaturg for Marrugeku’s Australian-New Caledonian co-production Le Dernier Appel to premiere in 2018. She has curated and facilitated (together with Dalisa Pigram) Marrugeku’s series of Intercultural Indigenous Choreographic Laboratories in Sydney, Broome, Auckland, Nouméa and forthcoming in Toronto. Rachael was a founding member and Co- Artistic Director of Stalker Theatre from 1989 till 2014, touring extensively throughout Australia, Europe, Asia and Latin America. In 1995, Rachael directed Stalker’s large scale, interdisciplinary dance theatre productions including Blood Vessel (1998) commissioned by Perth Festival and Adelaide Festival; Incognita (2003) commissioned by Sydney Festival, Perth Festival and Melbourne Festival; Sugar (2007) commissioned by the European Capital of Culture, Liverpool 2008; and Shanghai Lady Killer (2010) commissioned by Brisbane Festival and Melbourne Festival. Rachael trained at the European Dance Development Centre in Arnhem, the Netherlands. 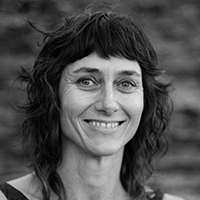 She has a MA in Performance Studies from Sydney University, a MA from DAS ARTS Amsterdam, and a PhD from Melbourne University titled Ways of Listening — Dramaturgy in intercultural-Indigenous performance. She held an ARC DECRA research fellowship at Melbourne University 2013-2016. 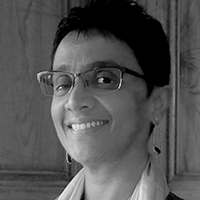 She is author of the forthcoming publication Dance and Contested Land — New intercultural dramaturgies, to be published by Palgrave Macmillan in 2018. Shawn Chua is a researcher and artist based in Singapore, where he is engaged with the archives at The Necessary Stage. His research and teaching has focused on the ethics of discomfort, embodied archives, and uncanny personhoods. Shawn’s work has been published in journals such as Global Performance Studies and Dramatise as well as Vulture magazine. He is a recipient of the National Arts Council Scholarship from Singapore and he holds an MA in Performance Studies from Tisch School of the Arts at New York University and a BA in Cultural Anthropology from Waseda University. 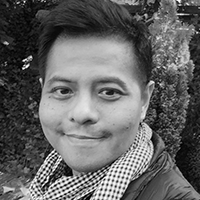 He currently teaches at LASALLE College of the Art and at Singapore Management University, and he serves on the Performance Studies international (PSi) Future Advisory Board.